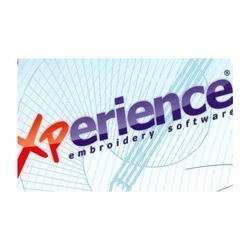 Our range of products include wings experience embroidery software. Level PRO offered comprise software support that are designed to create exclusive styles with sequins that allows users to add special functions including sequin, needle up and stop inside styles. One can also have many different sequins holding methods in single style as well as applying style on any stitch type supporting sequins. Other than this, these also help in converting symbols to perfect embroidery quickly where each symbol becomes complete embroidery with just a click. Level Puncher offered comprise software support that allows step objects with curved direction that adds a stylish and useful effect to the designs. Further, the interface provided also allows trimming objects and in removing overlaps. One can also create holes as well as reduce number of stitches that need to be embroidered by removing overlapped parts. Further, the software also allows for continuous design preview where one can view embroidery design created that is multiplied on working space both vertically and horizontally. Level Pilot offered comprise premium range of level operator that comes with 3D effects with styles on any design. These help in creating unique designs by combining styles with envelopes as well as offer unlimited ability for reshaping and fine tuning of the designs. The software allows conversion of vector design in extensions .AI, .cmx, .emf to embroidery with just few clicks. Further, it also allows adding clone objects as well as allows transformation.